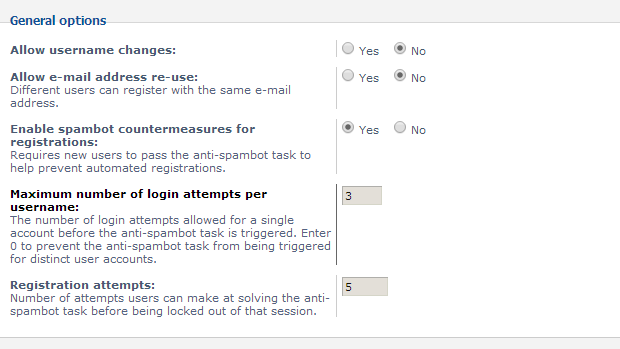 The configuration of the use registration option will provide you with more detailed settings on how the newly registered accounts can be created. In this tutorial we will show you how to perform such configuration but of course you will need to take care for the settings based on your personal needs. To begin please login into the Administration control panel of your phpBB 3 board and navigate to General>Board Configuration>User Registration Settings. There you will be able to see plenty of options which we will discuss in the next step of this tutorial. 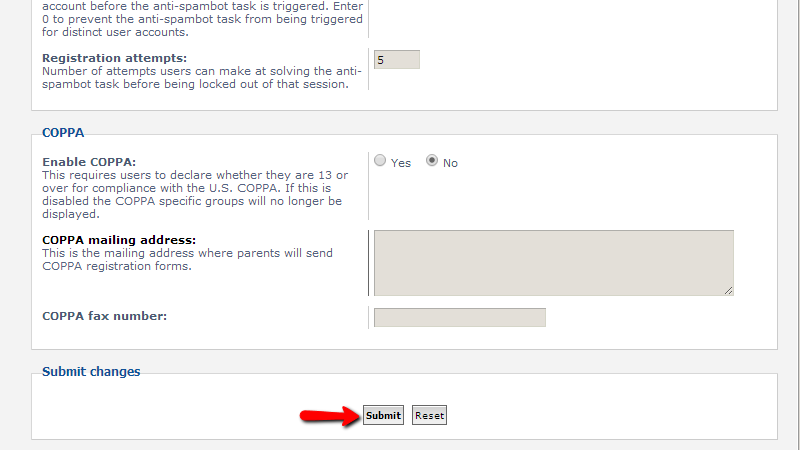 The options provided on the page you have just accessed are separated on 3 sections. 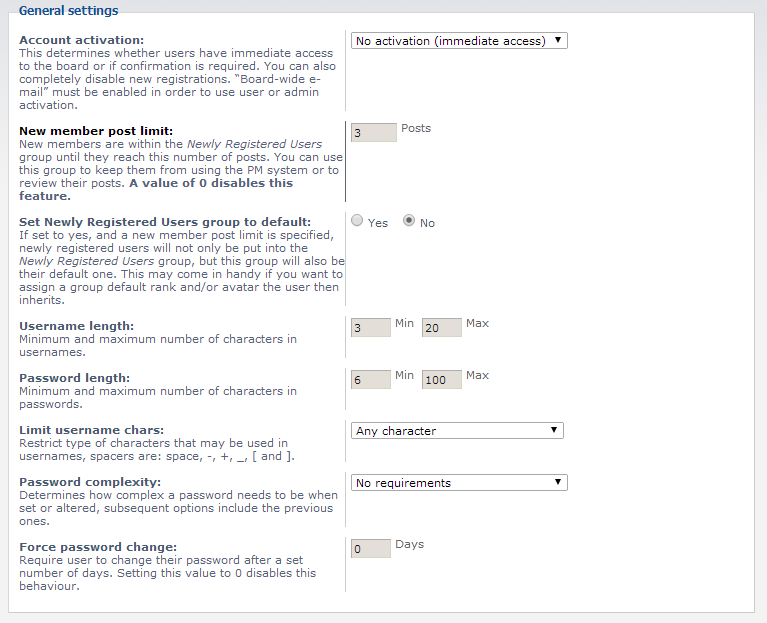 The next section of settings is called General Options and is related to already created accounts and their usage. The last section is called COPPA (Children Online Privacy Protection) and it contains related settings for the privacy and registration of users under 13. Please simply use the Submit button located at the bottom of the page once you are ready with the configurations on that page. 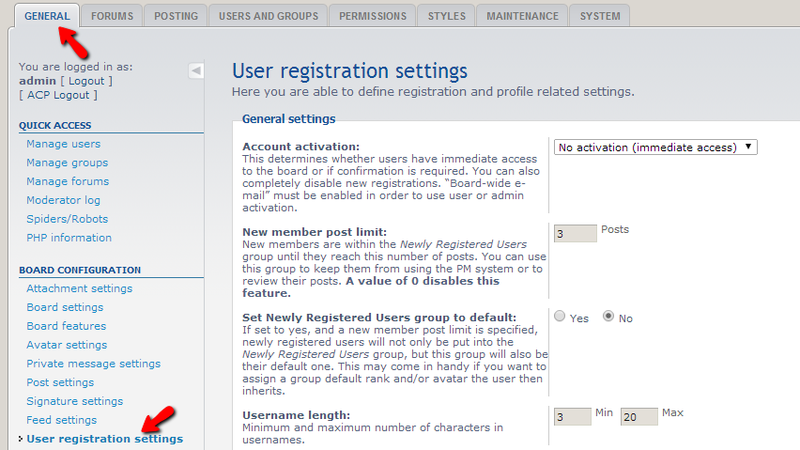 That is all you need to know in order to configure the registration options for the newly registered users on your Board!